Verbena officinalis, common name Vervain, also known as Wizard’s Herb, Druid's herb, Herb of Enchantment, Simpler’s Joy, Holy Herb. A perennial herb native to Europe and parts of Asia. It has toothed, opposite leaves on spindly, branched square stems with spikes of tiny fairy-like flowers, whitish- mauve in colour. 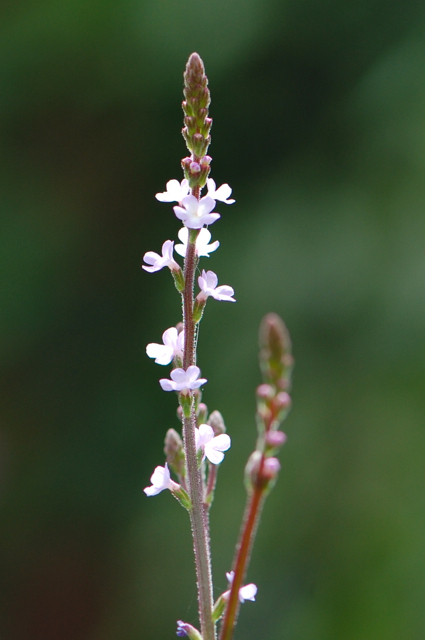 From the sunny Mediterranean to the damp shores of the UK, vervain was once considered something of a cure all and was a favourite of Hippocrates himself.